This Air King Designer Series Under Cabinet Range Hood is 30 inches wide, making it ideal for most kitchens. 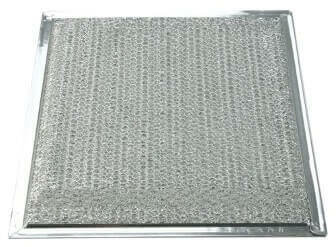 It is made with a brilliant stainless steel finish and has a motor with air flow of 200 CFM. This range hood provides excellent light for cooking with a 60-watt light that has two brightness settings. It runs quietly and features a low profile with the best in contemporary style while it keeps your kitchen properly ventilated at all times. This unit is available in a number of attractive finishes including biscuit, almond, black, and stainless steel. This unit also accommodates convertible ducting and it can be operated in ductless mode with the additional purchase of a charcoal odor filter. This unit has a 1-year warranty on the parts and it looks every bit as good as range hoods that cost two times what this unit does. One of the best features of this unit is the infinite fan speed control that is effective in venting both heat and smoke from a kitchen. This is one of the lighter range hoods to be found, as it weighs in at just under 15 pounds. Some of the reviews noted problems installing the unit, while others found it to be very simple. So, it can be said that if you are not handy with your hands and tools you may experience trouble installing this unit. If you're in search of general guidance on Range Installation check out our guide as it covers most of the basics. For Product Specific guides you would need to check out the installation guides below. More over, you'd surely find the Range Hood FAQ's to be helpful, so make sure you take a look at them as well. 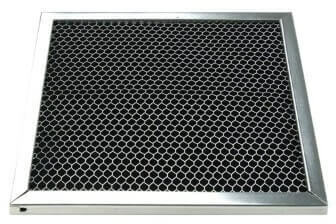 The Air King Designer Series Under Cabinet Range Hood has a good combination of features for a very affordable price. It has a large sample size of reviews for you to research with the vast majority of then being very favorable. It is manufactured in the USA and draws good marks from buyers for overall quality. If you want to read what actual buyers of this unit have to say, you can do that by checking out these reviews.